2018 Squarespace ecommerce platform review: Is it good for your store? 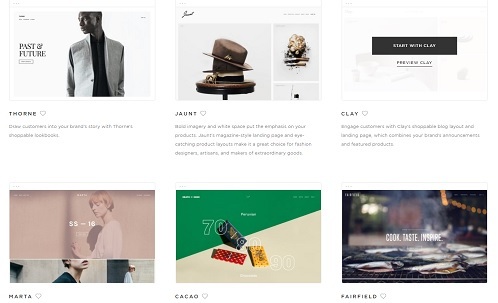 Squarespace is a website builder startup that was launched in the beginning of 2014. To this date the company has received more than $70 million in funding from investors (source). While Squarespace started as more of a general purpose website builder intended for helping people to create good looking personal websites easily, it has steadily beefed up its commerce offering and these days it offers a full e-commerce platform option. 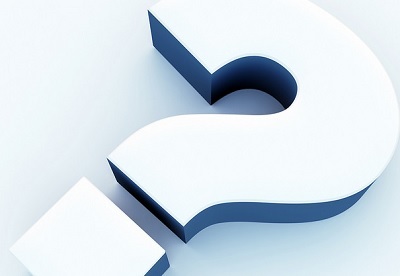 However, the big questions are exactly how good the platform is? And how well does it do when compared to the the market leader in the e-commerce platform space - Shopify? Keep reading the review and you will find out! At the time of writing this Squarespace offers a total of 14 themes intended especially for online stores. This can be considered a rather small number when comparing it to Shopify, as Shopify offers at the moment more than 60 different themes for building an online store. The number of ecommerce themes is also the first indicator of the fact that Squarespace doesn't necessarily focus all that heavily on ecommerce and instead focuses on how to help people build other types of websites - an indication of this is also the fact that there are over 50 themes at Squarespace that are intended for building other types of websites, and thus less than 20% of the themes are intended for an online store. The store themes that Squarespace has available are extremely modern and fashionably, and indeed probably work the best when trying to sell products such as clothes or accessories online. In a way they might even look too cool if you are trying to sell, for example, fishing equipment. The themes are also designed in in a way that they are better at highlighting couple of products than showcasing a massive amount of different products - this means that they might be better suited for selling expensive items than for selling cheaper, bulk-type products. The templates are also designed in such a way that they are not all that good for highlighting special discounts and offers. So if your goal is to compete on price, this might not be the best e-commerce platform for you. Maybe the biggest positive thing of the Squarespace themes is the fact that they are free to use and you can quite easily switch the theme you use. At Shopify, for example, only about 10 of the 60 themes are free, and for the rest you have to pay between $140 and $180 per theme - so if you have a tendency to want to switch things up frequently Squarespace might suit your needs better, or at least it quite easily becomes cheaper over the long term. Squarespace might also be better if you believe that there is a chance that you might change your store into just an information type site or a blog at some point in the future - the services that focus solely on e-commerce platforms are not great for that. 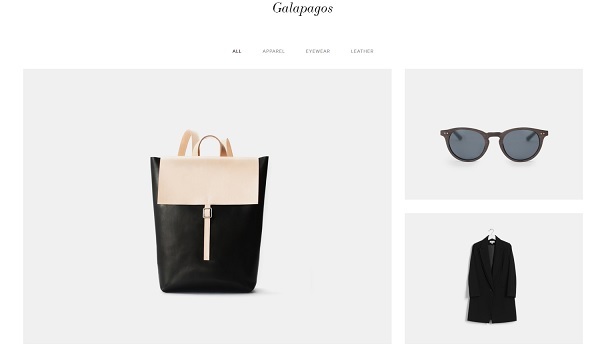 Squarespace has two plans intended for running an online store. The cheaper plan is called "basic" and costs $30 per month when paid monthly and $26 per month when paid annually. The more expensive plan is called "advanced" and costs $46 per month when paid monthly and $40 when paid monthly. You can get a 10% discount on both of the yearly prices if you use the coupon code GIMME10 (valid at least as of December of 2017). Squarespace also offers more generous student discounts, the student discount is 50% for the first year when paying for the full year in advance and it should apply also when launching an online store. In addition to the mentioned savings Squarespace also offers a free domain name in both of the plans if you pay for the full year in advance. Domain names usually cost around $10 per year, so in a way you can consider it to be around $1/month discount. Please note that in addition to the above mentioned prices you might also be charged taxes on top of them - this was at least my (not so pleasant) experience when I paid for my Squarespace plan. Both of the plans Squarespace offer are bit more expensive than Shopify's popular "basic plan" - the "basic plan" at Shopify is $29/month when paid monthly and $26.1/month when paid yearly. 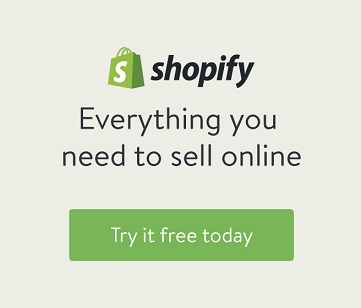 Shopify's other plans for building an online store cost $79 and $299/month when paid in monthly basis. Like Shopify, Squarespace also offers new customers a 14 day free trial, during which you can play with the features of the software and try to create your own store. It is however good to note that you can't fully publish your store during the free trial, and instead those people who arrive to your store's domain name need to enter a verification code to see the the site. In other words, even if you are looking to take advantage of some super-hot trend that you expect to fade away quickly, you will have to buy a paid subscription - obviously in that case it might be best to opt for the monthly payments. It is possible to switch your plan if you, for example, feel like the basic plan will do just fine for your online store. The above mentioned plans both come with the most important features that online store should have. Both of them allow, for example, listing an unlimited amount of products in your store and automatically optimize your site for mobile devices (extremely important these days!) as well as allow you to use discount / coupon codes. The biggest differences between the plans are that the more expensive plan also has, for example, abandoned cart auto-recovery and gift cards. Gift cards might be extremely important depending on the type of products you sell and how important different holidays such as Christmas are for your store. When comparing the Squarespace ecommerce solution features to the features of Shopify's plans it can be concluded that they tend to include for the most part the same features. This can be pretty much expected as by now there seems to be a sort concensus on what type of a features an online store should have in order to have a chance at becoming successful in 2017 and beyond. Regardless of the plan you choose, there are multiple different currencies in which the prices in your store can be. You can choose for example USDs, Euros, Australian Dollars or Canadian Dollars. This is one of the areas in which Squarespace really shines. I have personally built and launched two different websites using Squarespace and in both cases I had a good looking site created in less than 2 hours. It really requires only minimal technical skills and absolutely no knowledge of coding or anything like that in order to build your site. And if you ever run into problems it is good to note that Squarespace offers nice discussion forums with lot of existing knowledge (it is likely that someone has already asked about your problem) and great customer service. One sort of a downside of how easy Squarespace has made their software to use, is that it can sometimes be slightly restricting (as you are often utilizing ready-made elements) and you might find out that there are some things you are simply not able to do when it comes to your store's design. The social sharing (e.g. like buttons) features could, for example, be bit easier to customize. Conclusion: Should you use Squarespace for launching an ecommerce site? I know that a simple yes or no answer might be preferred to this question, but I don't think that can be given in the case of Squarespace. As a result of the way the Squarespace's themes are designed, I think that Squarespace can be a great platform for running a certain type of store, but something like Shopify might be better for running a different kind of store. And indeed I would recommend Squarespace especially to those online store owners who are looking to sell a relatively small selection of high-end products in which the visual aspects of the products are very important. This means that Squarespace could be great, for example, for selling high-end fashion items or beauty products, luxury home accessories or designer furniture items. On the other hand if you are looking to sell things such as electronics, sports or outdoor equipment or a wide variety of supplements I'd go with Shopify. As both of the mentioned e-commerce platforms offer free trials, nothing stops you from trying both of them and then deciding which one you like better. This Squarespace review has last been updated on the 15th of December 2017.